So today’s post is another recipe. Care to try out the recipe? Hartelijk dank voor uw vriendelijke reacties op mijn vorige post en je bezorgdheid op mn scriptie! Ben ontroerd! Dus, vandaag in de post: een recept. Ik zag namelijk ooit deze kleurrijke cake die versierd was met gekonfijte fruit en ik was meteen geïnspireerd! 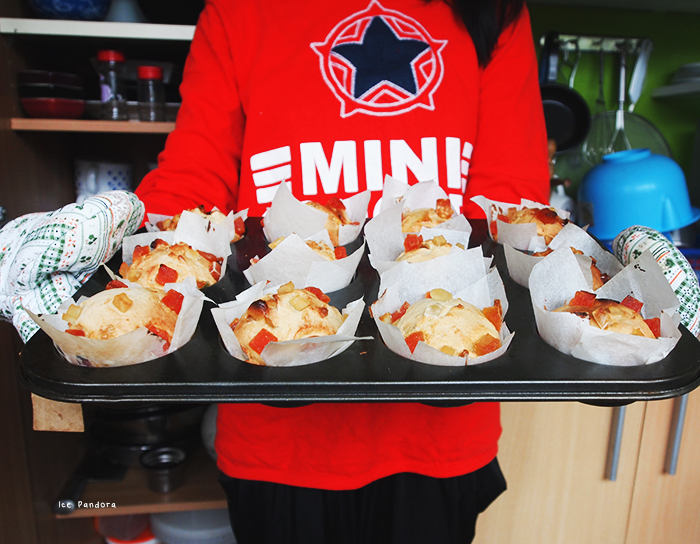 Ik besloot om muffins te bakken, omdat ik ze al een tijdje niet hebt gemaakt. Uiteraard bovenop de gekonfijt fruit. Ik was allang blij dat ik ze kon gebruiken want ze lagen tegen de houdbaarheidsdatum aan..
Zin om uit te proberen, dit recept? Er is ook chocola in verwerkt! Beat butter, the 1 tablespoon condensed milk and eggs until smooth and combined. Sift the flour and baking powder. 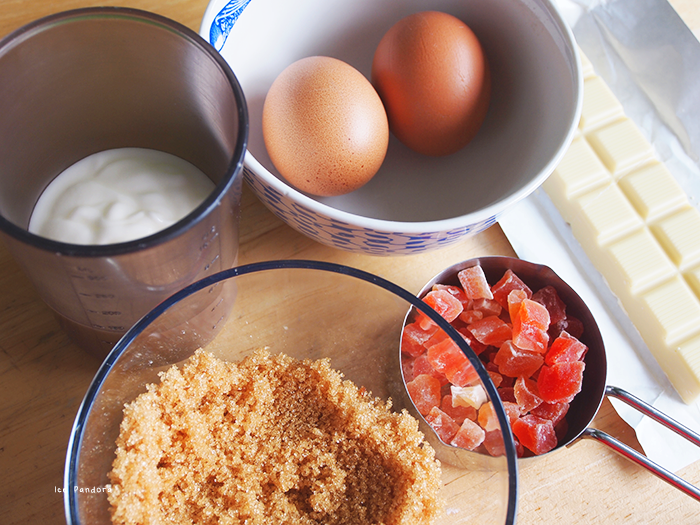 Add all the dry ingredients to the egg/butter mixture and combine well. Then add in the yogurt! 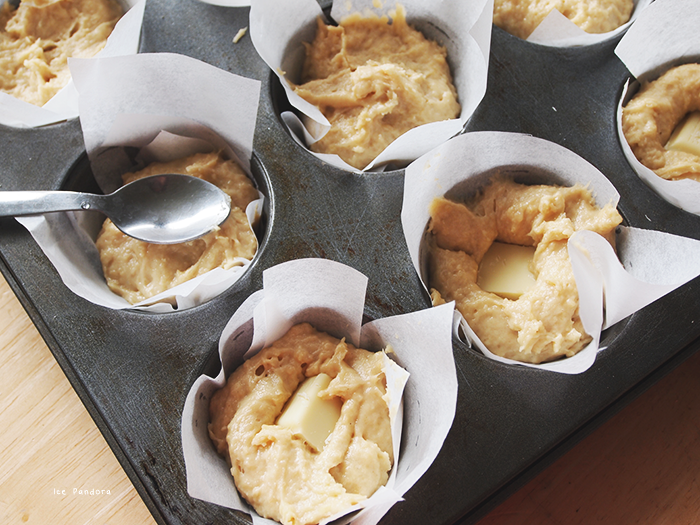 Break the chocolate bar and place a tablet in each muffin dough in the center. With a spoon, cover the top. 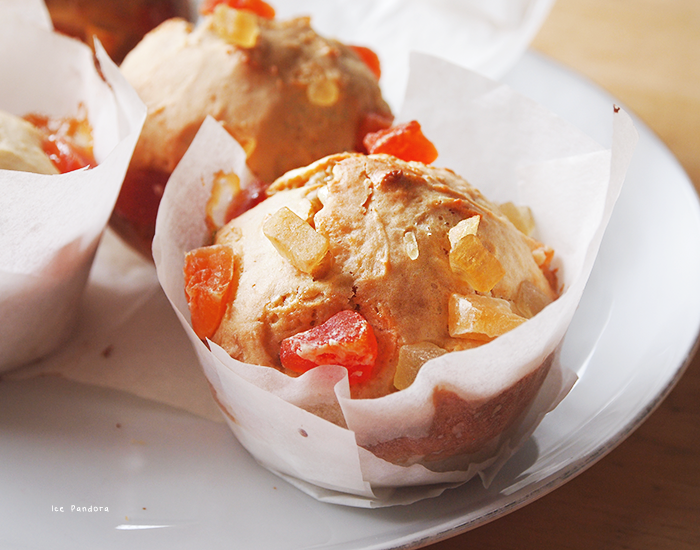 Decorate the tops with the dried fruit and bake the muffins for about 30 min. in the oven! 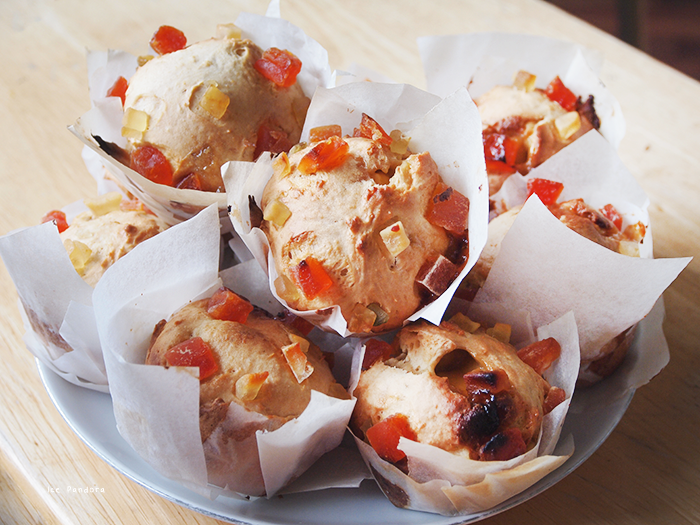 Thanks for sharing the recipe, they look unique since I never seen anyone use candied fruit before. I can't wait to try making these they look so tasty with the chocolaty filling too! Yum! Looks delicious as always. Oh YUM! This recipe looks brilliant!! I love how you've got yoghurt in the center and candied fruit sounds great! 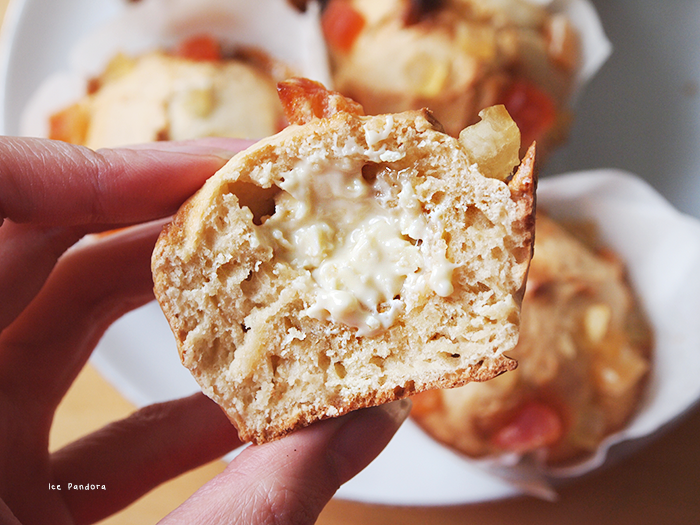 You seriously have the best recipes - this would be perfect for breakfast!! Yummy! Oh my god, they look amazing. Totally drooling right now. So brave of you to try so many different recipes and documenting them. I need to give more recipes a try when I have the time too. It's become too much of a routine lately for me when it comes to cooking. Oh yum, this looks fantastic. 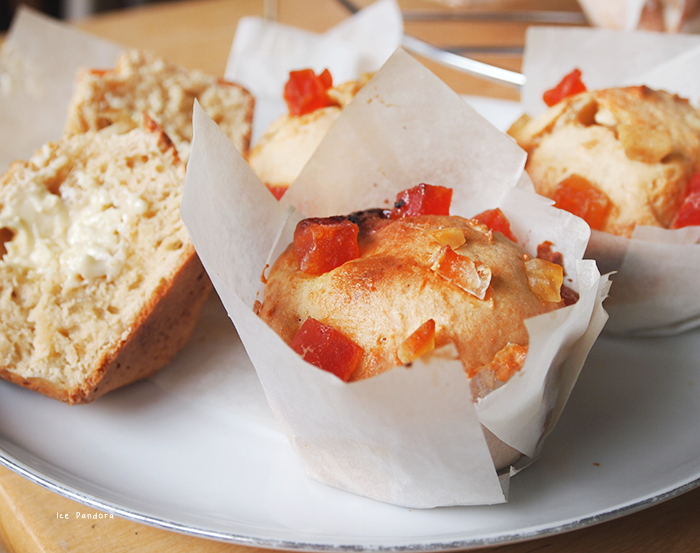 Never thought to use dried fruit in a muffin recipe! Oeee deze ga ik ook proberen! omg! looks so pretty and delicious!! love the white chocolate center! Oh ! It looks so yummy ! white chocolate is my favorite! and having it hidden in the belly of a muffin? OMG i am so making this! What an awesome idea to put melted chocolate in the center. Deeeelicious! Would love to try it sometime!